How Much is a Hotel Room in Schulenberg im Oberharz? Hotels in Schulenberg im Oberharz start at $116 per night. Prices and availability subject to change. Additional terms may apply. Are you planning on traveling through Harz and looking to reserve lodgings in or around Schulenberg im Oberharz? Within an easy driving distance of the city center, travelers will find 9 comfortable hotel options. 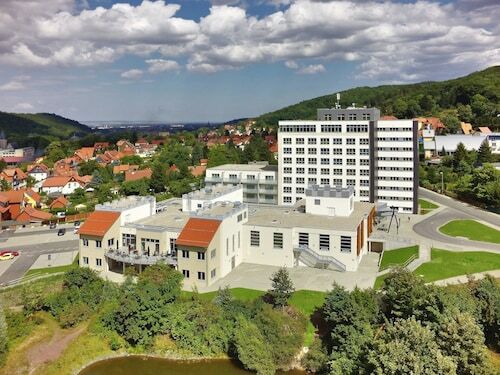 Astute travelers who have experienced the important benefits of reserving accommodation close to the major attractions should learn about the AKZENT Sporthotel Schulenberg and Ferienwohnanlage Brockenblick, which can all be found within a 0.6 miles (1 kilometer) distance of Schulenberg im Oberharz's center. The Landhaus Zu den Rothen Forellen is positioned 10 miles (17 kilometers) from downtown Schulenberg im Oberharz. 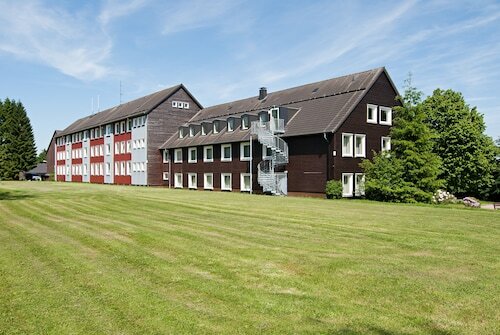 Another place to stay is the Maritim Berghotel Braunlage, which is located 10 miles (16 kilometers) away. 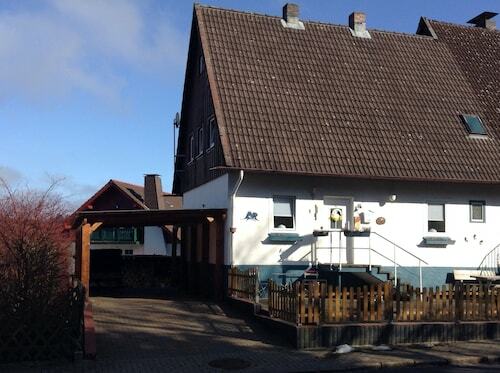 The Braunschweiger Hof and the Hotel Riemann are other alternative options in Schulenberg im Oberharz. The extended Saxony-Anhalt district is certainly worth checking out too. Saxony-Anhalt is home to forests and rivers. Frequented traveler sights include castles, old towns and fortresses. Modern visitors in this area of Germany can enjoy snowboarding and skiing. 5 miles (8 kilometers) to the north of Schulenberg im Oberharz, you will find Goslar, where you can enjoy Goslar Imperial Palace and Mines of Rammelsberg. The Altstadt Hotel Gosequell and RAMADA Hotel Baeren Goslar are some of the great lodging options in Goslar. 15 miles (24 kilometers) southeast of Schulenberg im Oberharz, you'll also find Sorge, home to the Hotel Tannenpark and Landhausferienwohnungen Am Brockenblick. The Grenzlandschaft and Museum Sorge and Ring der Erinnerung are a couple of the most popular points of interest to discover in Sorge. Why not spend an afternoon enjoying the skills of players with fellow spectators at an engaging game. HDI Arena can be found 45 miles (76 kilometers) to the northwest of Schulenberg im Oberharz. Stay in the thick the sporting action at the Cityhotel Königsstraße or the Sheraton Hanover Pelikan Hotel. Situated 55 miles (86 kilometers) away from Schulenberg im Oberharz's city center is Hannover Airport. Stay nearby in Travelocity-listed accommodation at Leonardo Hotel Hannover Airport or Maritim Airport Hotel.